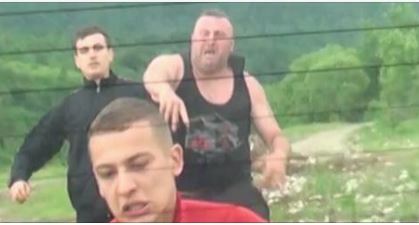 While investigating illegal logging for an equally illegal hydropower plant on the river Râul Alb inside a Natura2000 area (Sălaşul de Sus, Hunedoara County), Romanian environmentalists were chased and violently attacked by a group of thugs on May 24. Find the EIA report, the press relase by the involved organisation Agent Green (scroll down for English version) as well as the video of the attack below. The petition against the hydropower project in question, though it already counts 111,209 signatures, has not induced any reaction from the minister of environment, at which the petition is directed.